The composer comes in a cool flamingo box. My wife just gasped and said “how pretty”. In the box there are plenty of good stuff: A booklet explaining how to use the lens, a small sack to carry the lens around, a super-cool aperture control ring set and replacer stick, and of course the Composer. I use a Nikon, and was happy when I saw that the back cap fits right on my other Nikon lenses. One less thing to loose when the lens is mounted on the camera. I simply use the cap on the lens that was just placed on the camera. I store the sack and the exposure disks in my back pack. The composer is a Tilt-Shift lens with a twist. The optics is blurred around the edges on purpose. This means that when the lens is perfectly aligned and focused, the edges of the image are blurred. This alone is a great artistic effect, but it gets even better. The external element of the lens sits on an axis and can be moved to create an angle with the camera body (see image on left). This enables you to change the focusing plane of the camera. (The wiki link is great, if you want to get technical). Now, changing the focusing plane is usually a delicate and highly technical expertise saved for architectural photographers and technical photographers (Plus those lenses cost a small fortune). So providing Tilt/Shift abilities to amateur photographers is like equipping us with Proton packs and allowing us to cross the streams. The Composer optics is not perfect in terms of sharpness or flare control, however, it allows for some artistic decisions that are impossible to make with a “regular” lens. The combination of the tilt/shift ability along with the blurred edges of the lens can provide some very interesting effects. In-camera. 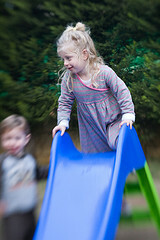 You can actually get one sharp spot in the frame and blur/defocus the rest of the image. This is great for portraits, street photography and personal style. 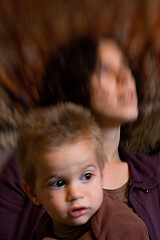 I find that using this lens on a portrait session can create some unexpected and interesting results. Bert Stephani has a good demonstration of this using this lens as part of his available light session video. There is yet more control you can exercise with the Optical Swap System – more on this on a future post. While it was great fun to use The Composer and did not take much to start making nice shots, it took a bit of practice (and understanding) to get more than “nice shots”. It took me a bit of time to understand where the focus is once the lens is tilted or shifted. If you like manual focus, you’ll love this lens, as manual focus is what this lens has to offer. The up side of this is that you get great control over what to focus, what to defocus, how strong the effect is and where in the picture your sweetspot is placed. The downside is that it takes practice. Lots of practice. Practice and fun. The manual says to adjust the diopter before mounting the lens, and this is absolutely correct, as your eye swill be the only thing you can trust for focusing decisions. almost impossible to take long exposures or repeated results when using a tripod. The Composer is quite a mechanical lens. I like the simplicity of it. As with most lenses, you have two exposure controls: shutter speed and aperture. To make use of the Composer, I placed my Nikon D70 on Manual exposure and I set the Composer on F/4. Now setting the lens on F/4 is not something to be taken lightly. 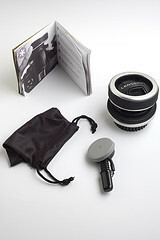 As you can see in the image on the left, the composer comes with a set of aperture rings. The rings are metallic and are held in the lens with magnets. You change the aperture by changing the ring inside the lens. You do this with the cool looking stick you see in the image. This is not a complex procedure, however, I would not do it in a sandy or windy environment. On a side note, I’ll say that looking of those aperture rings really helps you understand this whole F stop hole size thing. The last thing to cover is pricing – 269.95 (Feb, 2009), at Amazon. When you order make sure you get the right mount. 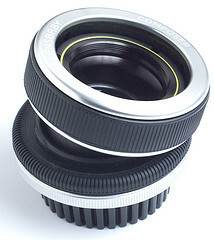 Lensbaby lenses are generic so a there is a different model for different camera systems.